Reforms made by the military junta mean science is likely to remain a priority for whoever forms a government. Thailand is bracing for the results of its first election since a military junta took charge in a 2014 coup. Scientists, like many other people in Thailand, want a more democratic country. But whether a pro-democracy party or a military-backed one ends up in charge, science is likely to prosper as a result of ongoing reforms put in place by the junta that are likely to continue under either government. “It is only when we have unfortunate incidents, for example a military government, that science, technology and research receives good attention,” says Sakarindr Bhumiratana, chair of the board of the Thai Academy of Science and Technology Foundation in Bangkok. The 24 March polls pitted several progressive, democratic political parties against a group representing the military, but official results have not been released yet. 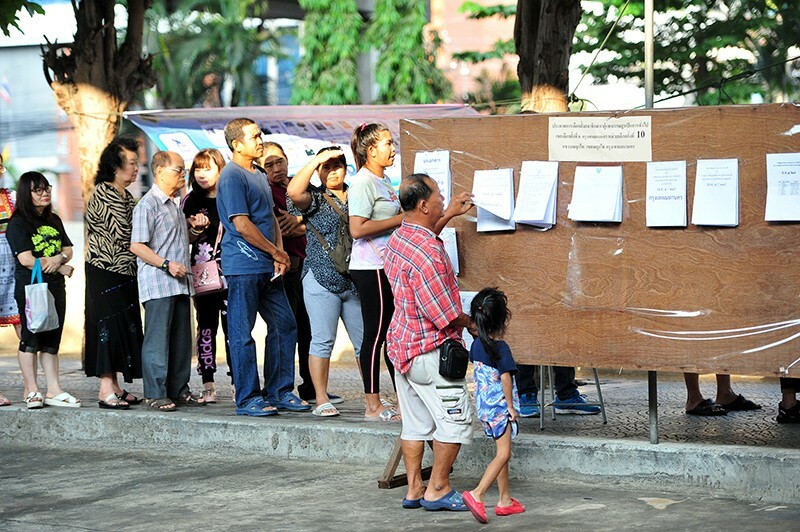 A preliminary count released by the Election Commission on 28 March indicates that the pro-democracy Pheu Thai party has gained the most parliamentary seats, but that it has not secured the outright majority needed to rule, leaving it and the pro-military Palang Pracharath party scrambling to be first to form a coalition. The commission has until 9 May to release the official results. Critics say that regulatory and administrative changes introduced by the junta over the past few years, including a new constitution that empowers 250 unelected senators to select the prime minister, could favour a military leader. Although science took a back seat to the economy in the election campaign, researchers hope that the new government — whoever leaders it — will continue to fund research and the initiatives set up by the junta. Under the junta, spending on research and development (R&D) as a percentage of gross domestic product (GDP) more than doubled to 1% between 2014 and 2017, with the number of people involved in R&D increasing by 65%, according to government statistics. New agencies, budgets and programmes that favour scientists and research often emerge under military regimes, says Patarapong Intarakumnerd, an innovation-policy analyst at the National Graduate Research Institute for Policy Studies in Tokyo. For example, Thailand's largest public research institute, the National Science and Technology Development Agency, north of Bangkok, was established in 1991 by an administration that was set up following a military coup. And the law introducing the National Science Technology and Innovation Policy Office (STI) was enacted after a coup in 2006. “There is a kind of collusion between the military, economic technocrats and scientific technocrats,” says Intarakumnerd. Last year, the junta launched a 20-year national strategy prioritizing aspects of science and technology that contribute to industry, such as automotive science, robotics, bioenergy and medicine. “It is likely that the newly elected government will follow this already set strategy,” says Numpon Mahayotsanun, a mechanical engineer at Khon Kaen University, who is also chair of the Thai Young Scientists Academy. Changing the strategy will be difficult, he says, because of the time and administrative processes required to get new policies approved. Weeks before the election, the parliament also passed a law to establish a joined-up ministry of higher education, science, research and innovation, which is expected to receive royal approval within a few months. The new ministry will combine the Ministry of Science and Technology, the Office of Higher Education Commission, the National Research Council of Thailand and the Thailand Research Fund. The ministry will be run by a board that is chaired by the prime minister and that will determine policies and allocate the science budget, which is set for 16 billion Thai baht (US$500 million) for 2019. It will have autonomy to push for the commercialization of research and to coordinate national policies, says Kitipong Promwong, secretary general of the STI in Bangkok who will be in charge of the board’s secretariat. Previously, there was little synergy between the policies of individual organizations, with duplication of projects and limited monitoring and evaluation, he says. Promwong’s team has already started setting priorities for the new ministry, including the transfer of technologies to industries such as tourism, food, biomaterials and health. Investment will focus on Earth and space science, nuclear fusion, quantum science, social science and ‘omics’ technologies, used in the large-scale analysis of biological molecules such as genes and proteins. The team will also propose that the country’s R&D spending should be increased to 1.5% of GDP by 2021, and to 2% by 2026. The ministry restructuring will be positive for science in Thailand, says Bhumiratana. Innovation and commercialization of research will help to boost the country’s income while also helping improve access to technology, he says. But Intarakumnerd is not convinced that the restructuring will boost research commercialization. He says that other countries in the region that have already undergone a technological transformation, such as Japan and South Korea, invested significantly in companies, he says, but not in universities and public research institutes. Another criticism of the new strategy is that scientists not working in focus areas feel left behind by the push for economic development, says Titipol Phakdeewanich, a political scientist at Ubon Ratchathani University. Humanities, social sciences and environmental sciences have been neglected in recent years, he says. And, if Thailand ends up with a junta-backed government as a result of the latest election, social scientists such as himself who study democracy and human rights face an uncertain future. “The military sees freedom of expression and human rights as a threat to their power,” he says.